Eminem Does Not Date Much! 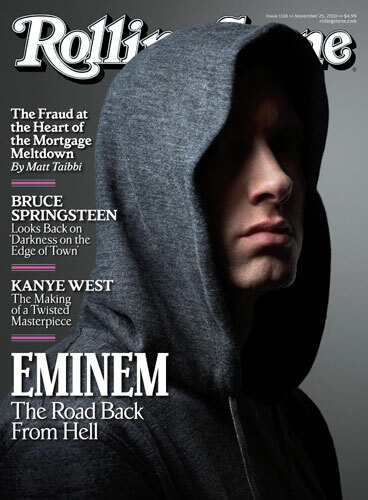 Eminem is famous, so I would think he has access to tons of girls…but a girl to date not so much….awww poor guy!Eminem opened up to Rolling Stone about dating, trust issues and drugs. I have trust issues. With women, friends, whatever. You always wonder what their real motives are. Iâ€™ve got a small circle of friends, and itâ€™s a lot of the same friends Iâ€™ve known forever. Right now, that works for me. I came out of some difficult things these past couple of years. I kind of feel like Iâ€™m just now finding my footing. So I want to make sure thatâ€™s secure before I go out and do anything else. I need to keep working on myself for a while. Not really. As far as going out, like dinner and a movieâ€”I just canâ€™t. Going out in public is just too crazy. I mean, Iâ€™d like to be in a relationship again someday. Who doesnâ€™t? Itâ€™s just hard to meet new people, in my position. Serena Williams has fun in the Sun! ‘Bachelor’ Juan Pablo Decides Against Kissing On The Show?